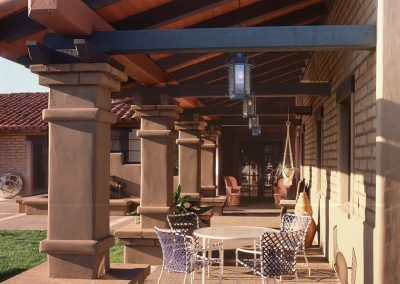 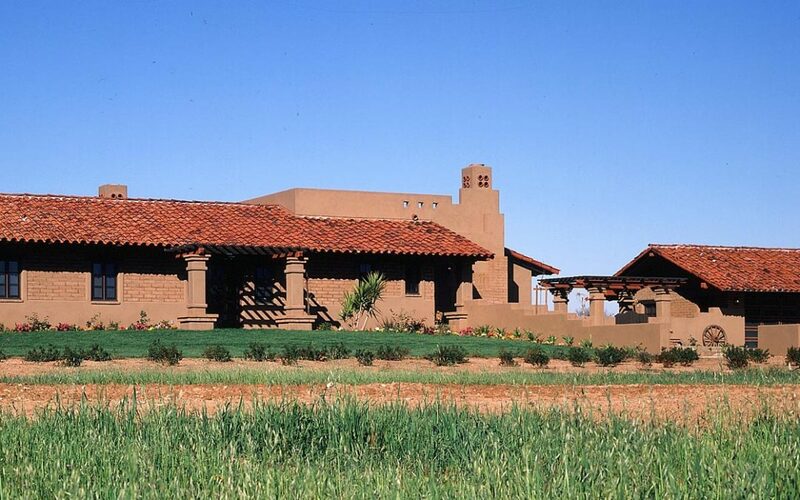 We designed an authentic, rustic adobe residence, remote guesthouse, stables and entertainment patio on a 4-acre site for a total of 4,250 SF. 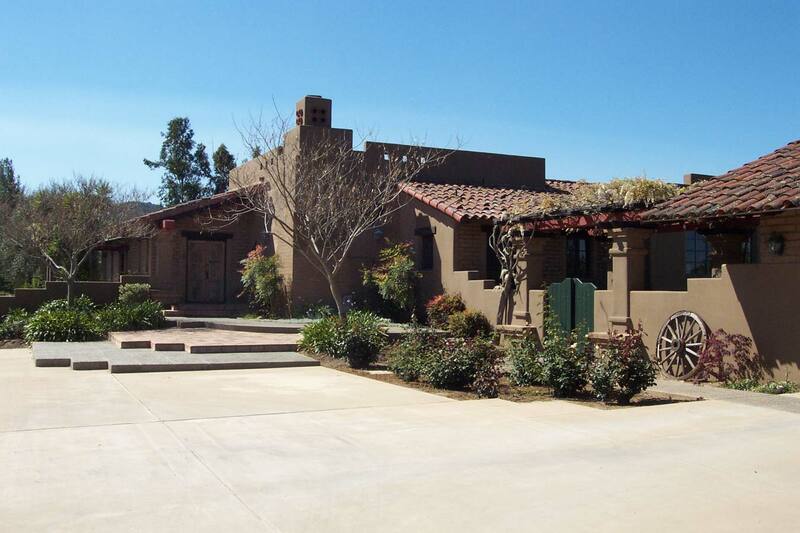 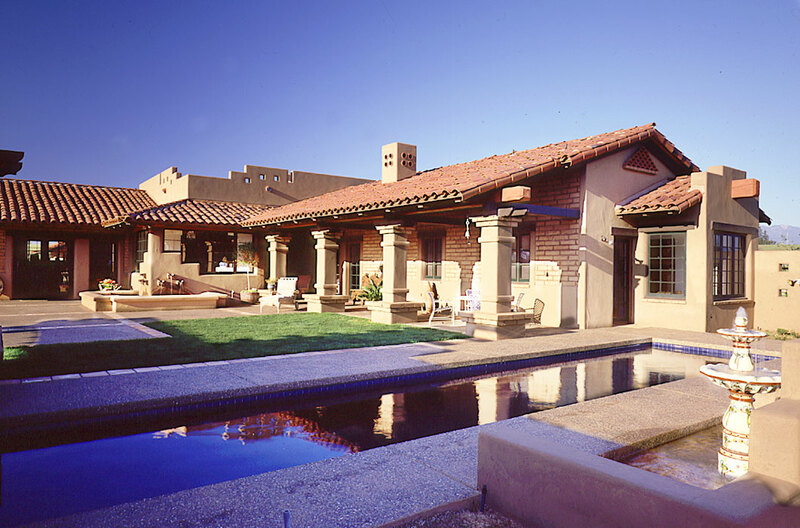 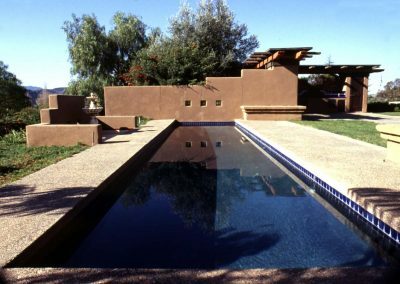 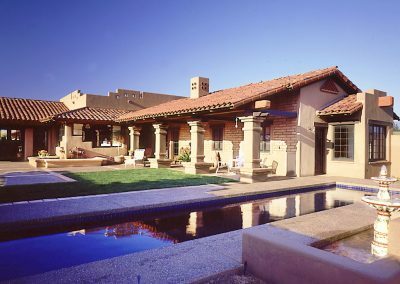 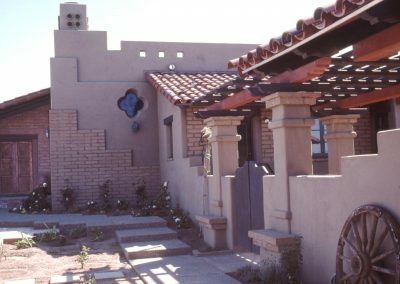 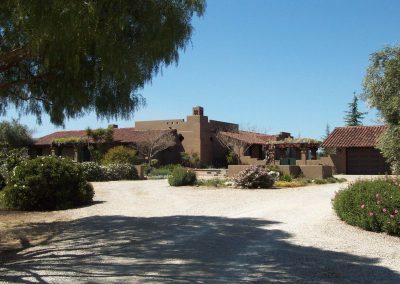 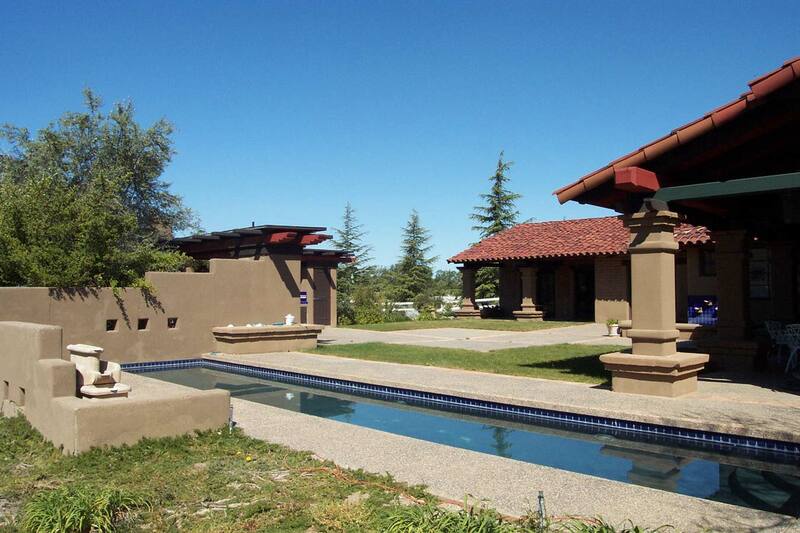 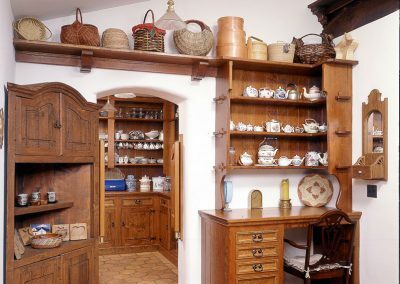 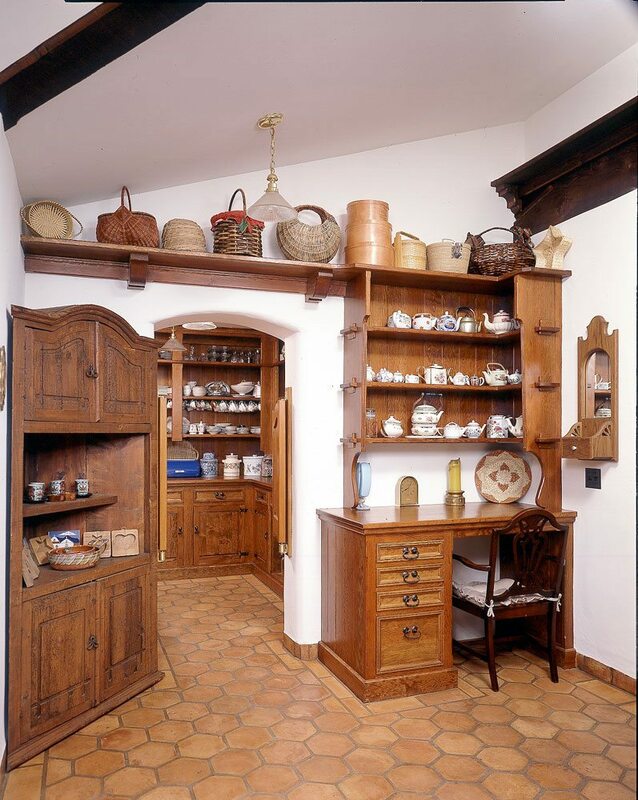 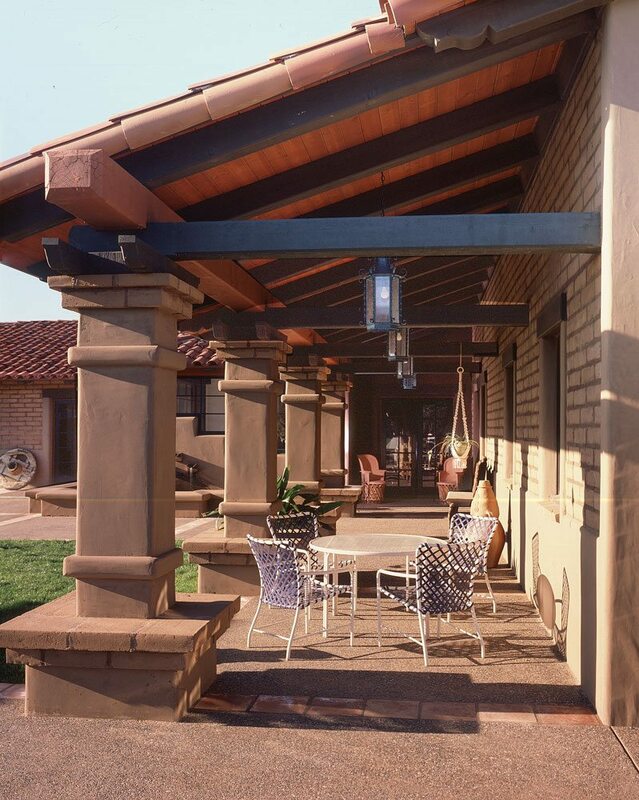 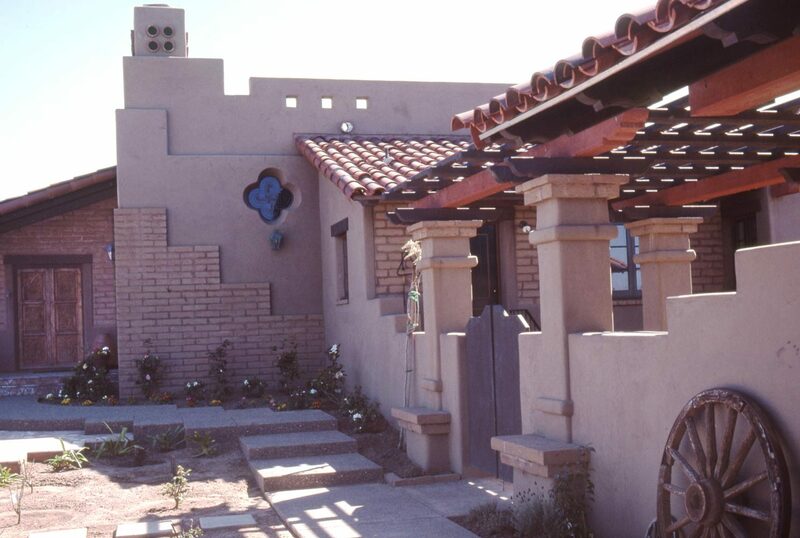 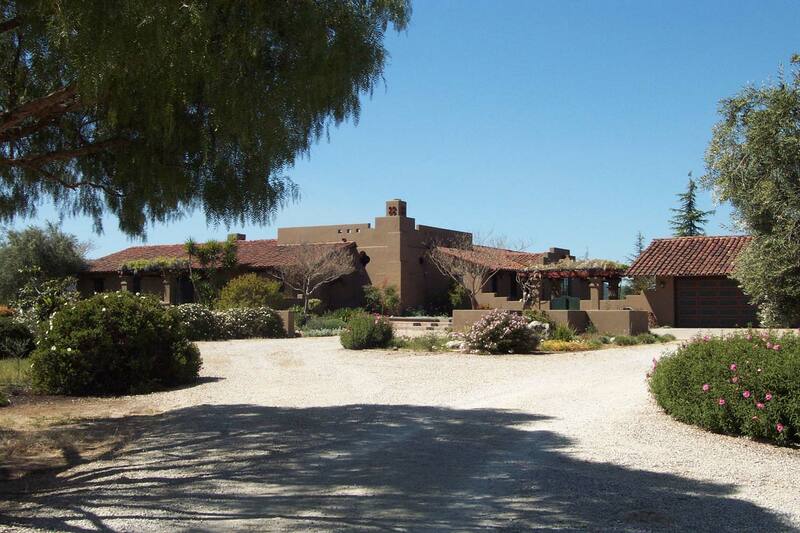 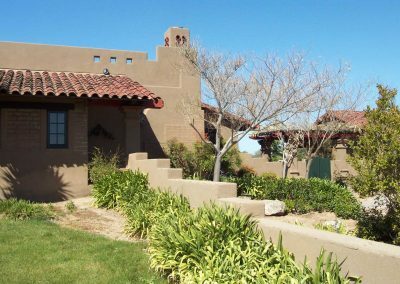 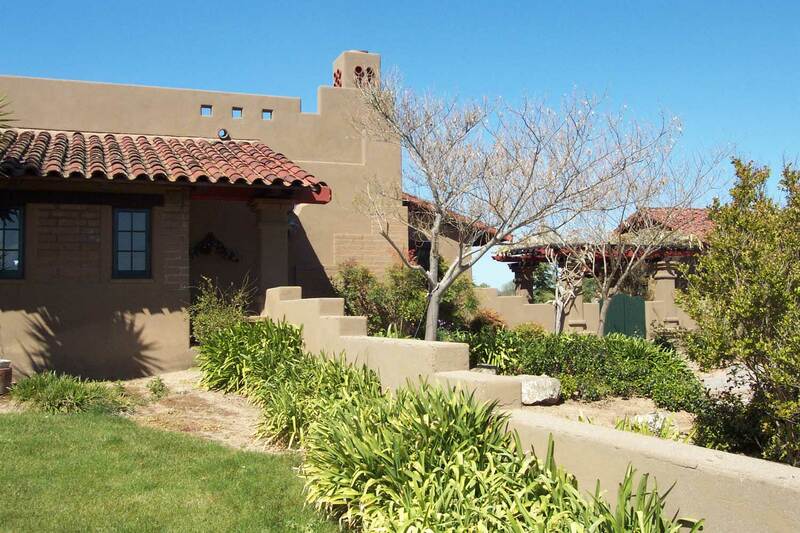 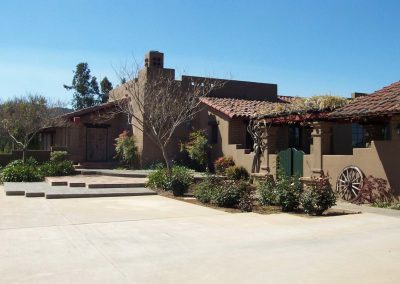 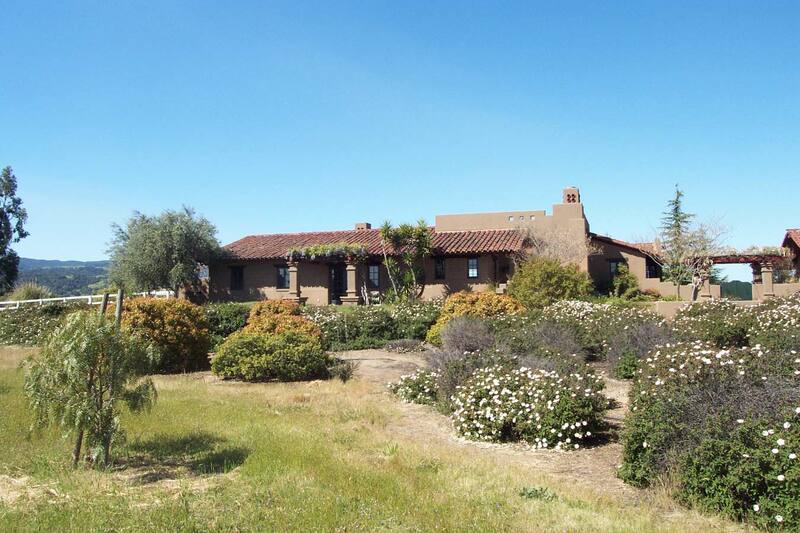 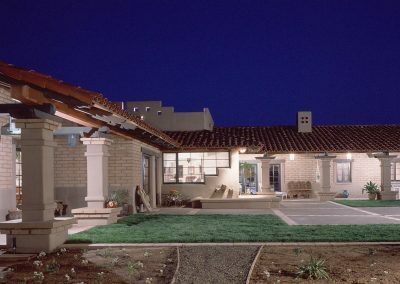 Earth from the site was utilized to build the 18 inch adobe blocks, adobe wainscot plaster and roof barrel tiles by adding asphalt emulsion and crushed bricks. 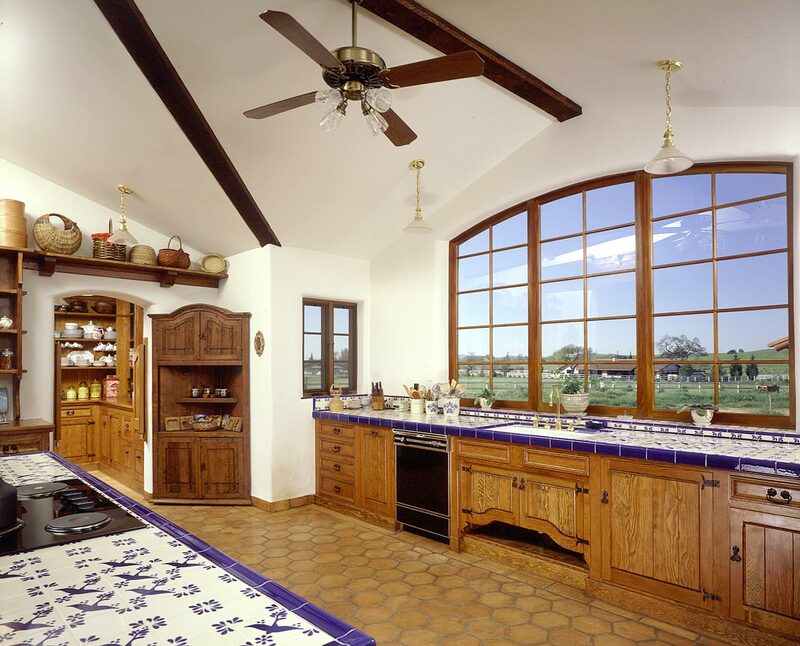 The heavy timber roof framing was reclaimed from local horse barns. 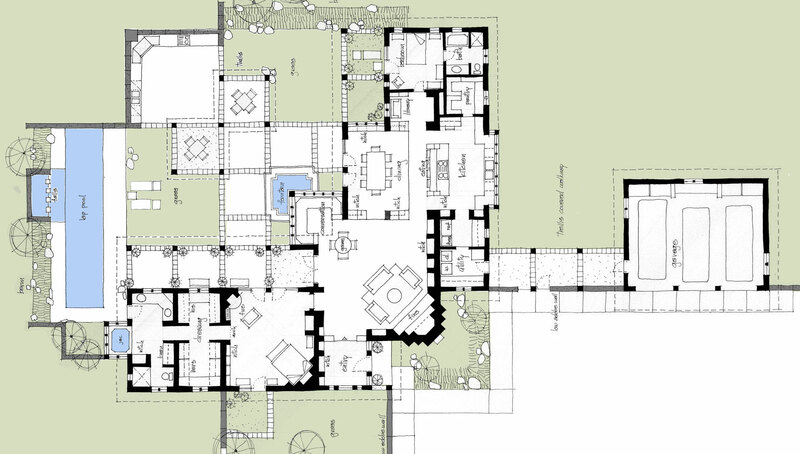 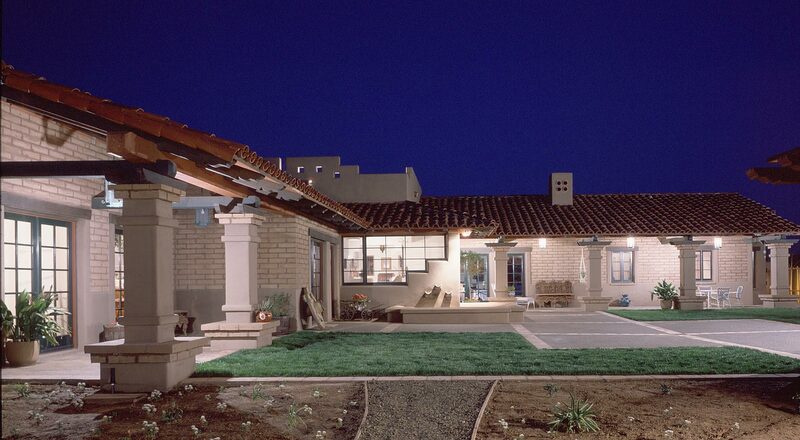 This courtyard house is truly a sustainable project. 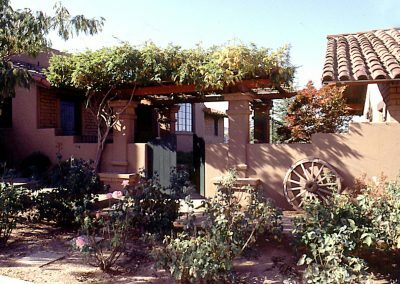 An adobe “batch plant” trailer was purchased to make the blocks on site and roof tiles were shaped over laborer’s legs. 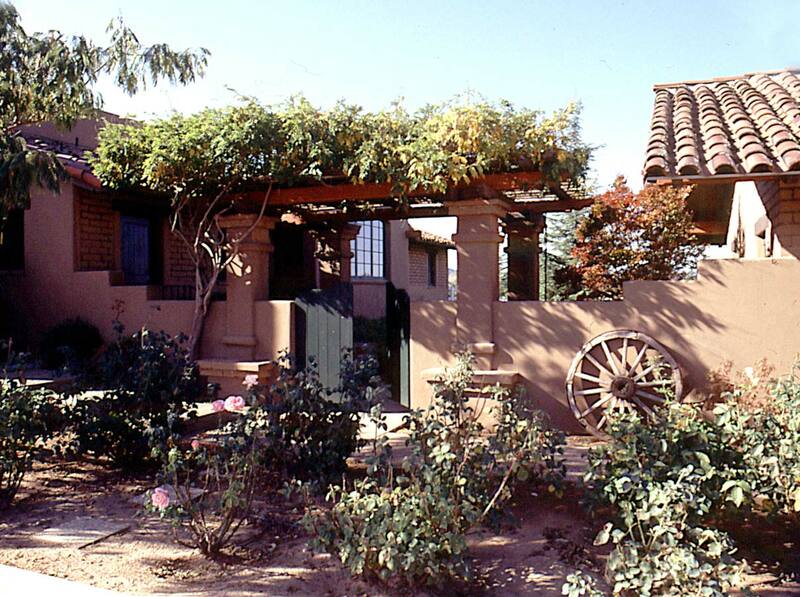 SIGNIFICANCE: This was the first true adobe structure to meet California’s seismic codes at that time. 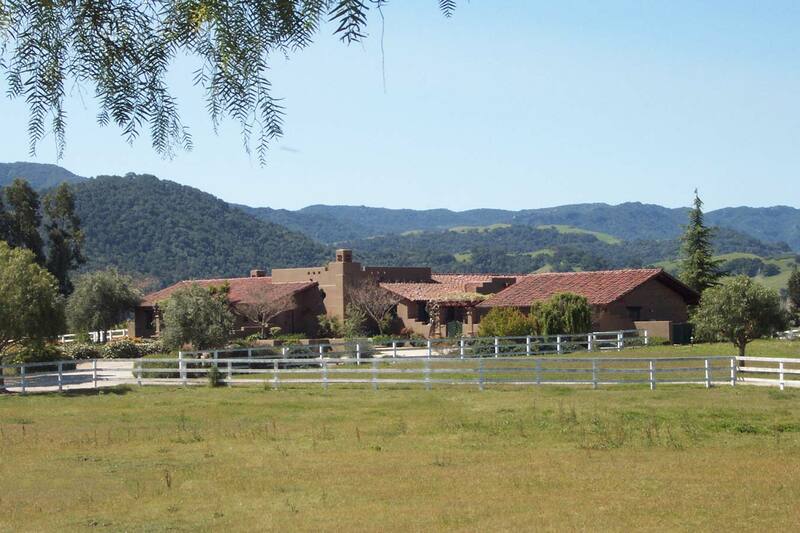 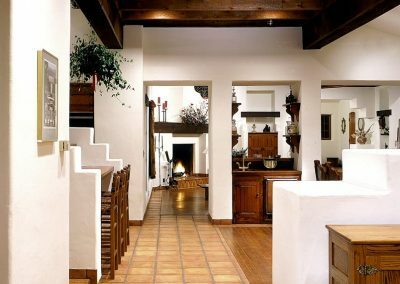 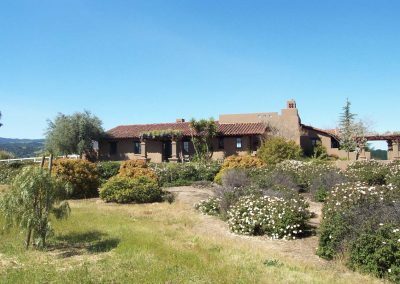 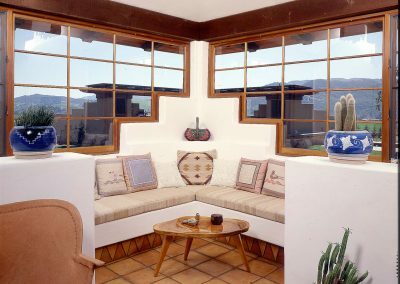 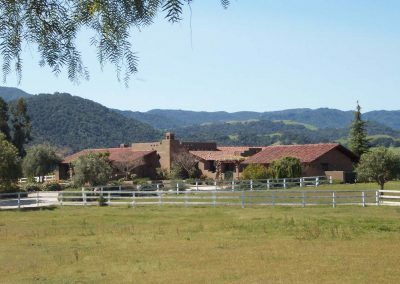 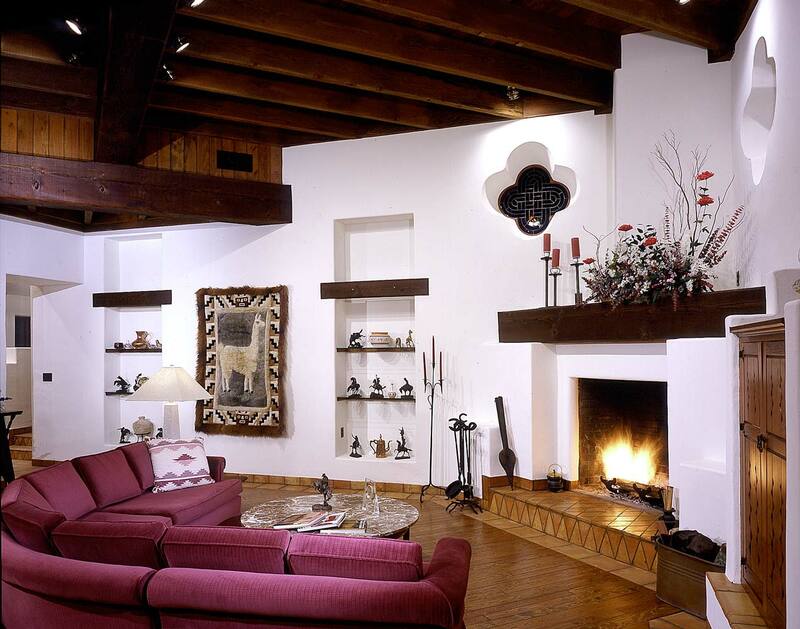 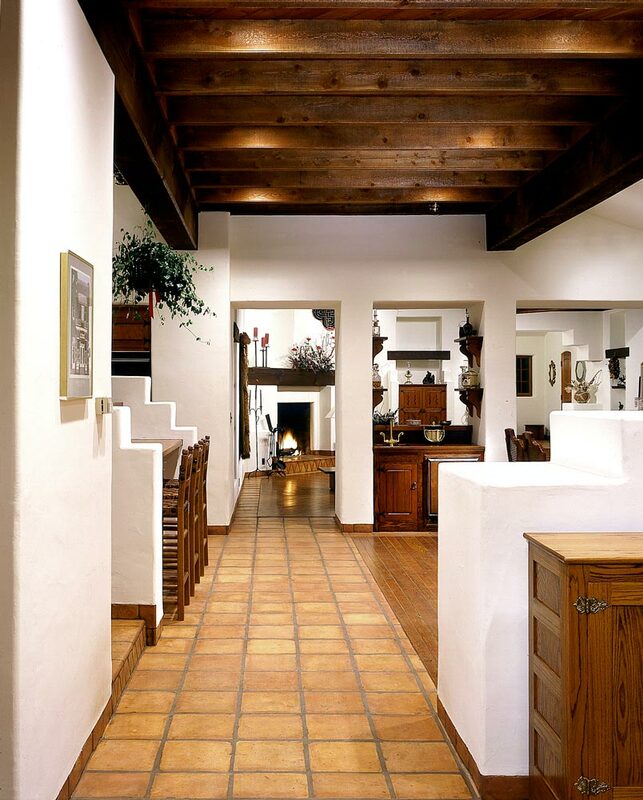 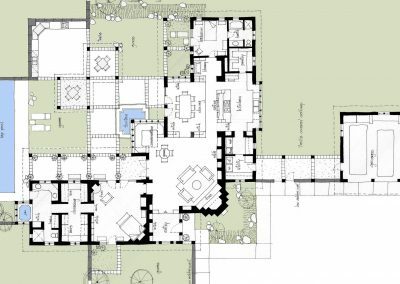 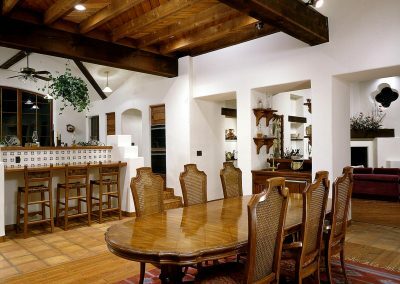 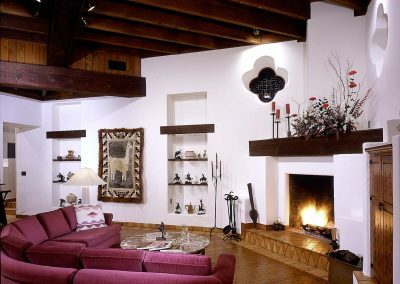 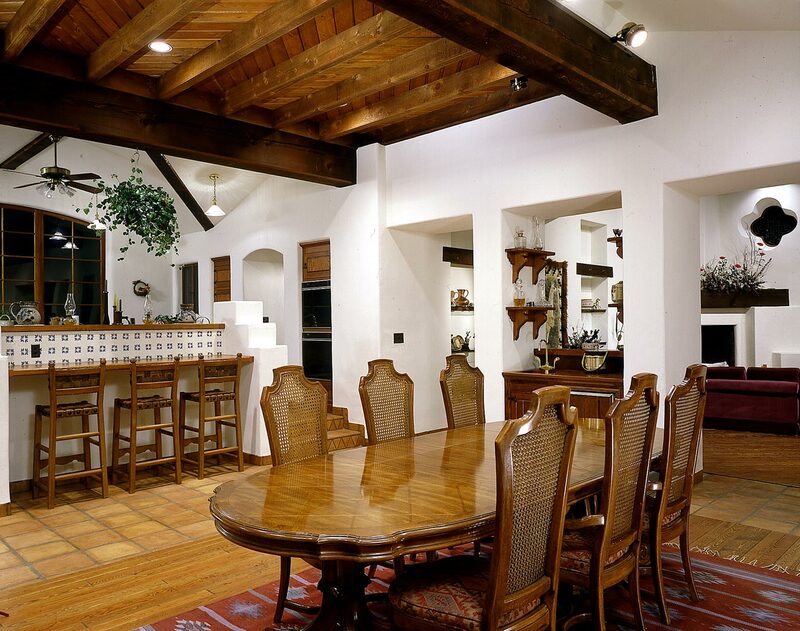 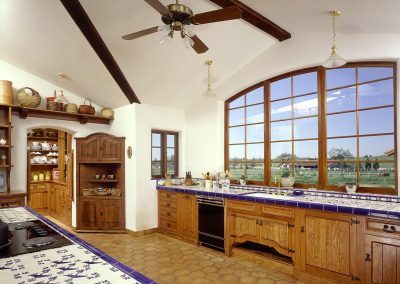 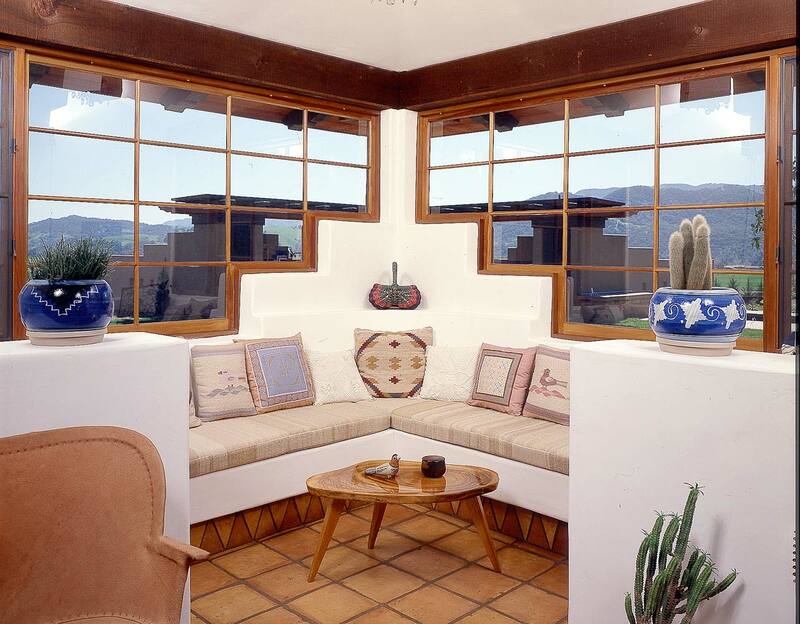 Several adobe projects using indigenous materials sprung up in the Santa Ynez Valley as a result of this project.